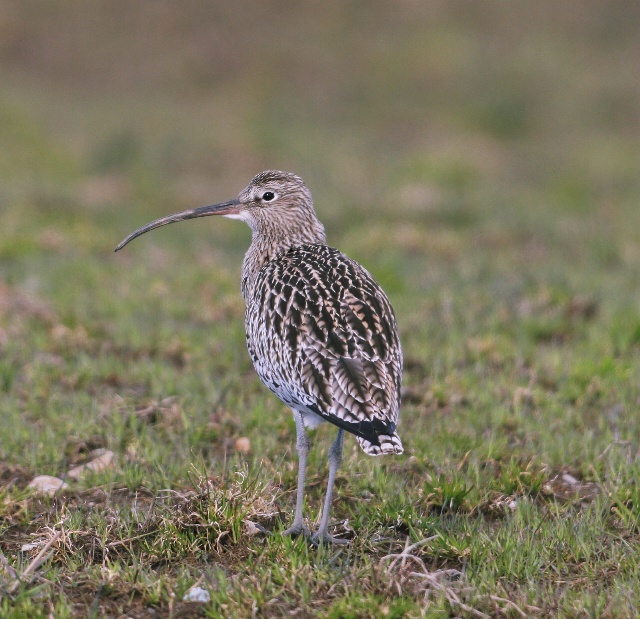 Biggest wader in area. 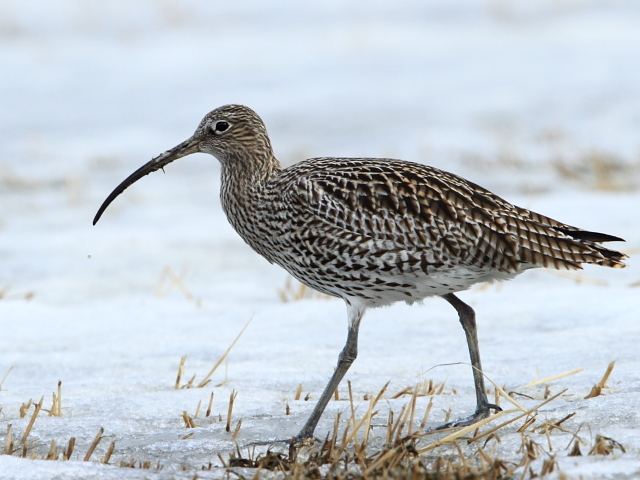 Differs from Whimbrel in longer bill with a more even curve, only diffuse head markings without crown stripes or marked eye-stripe. 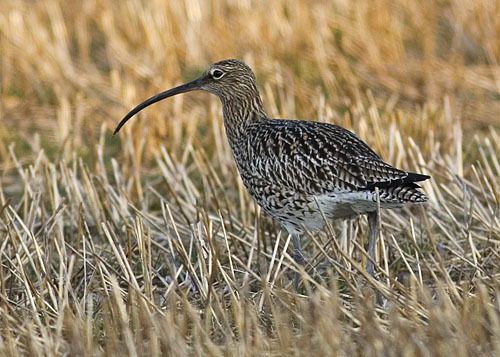 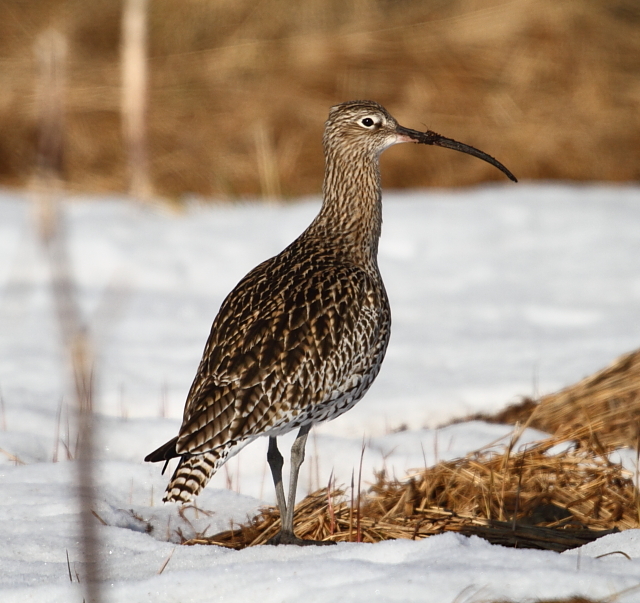 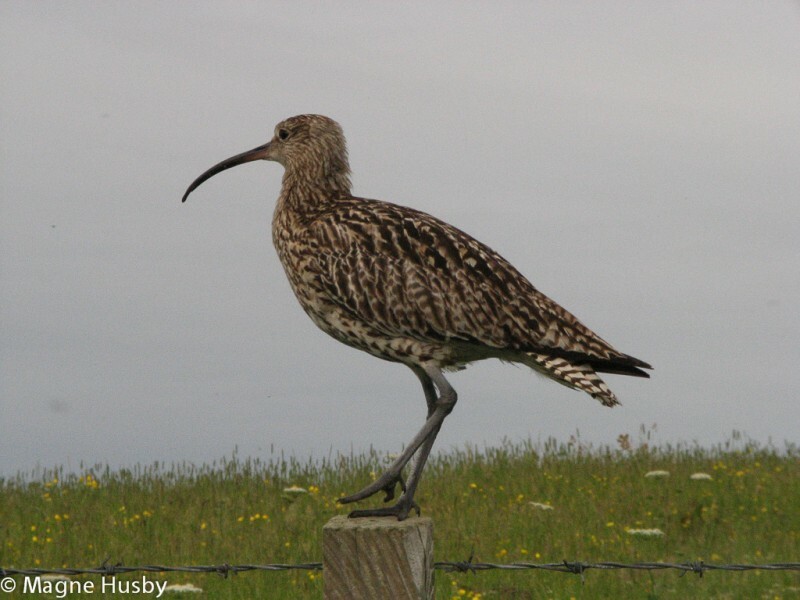 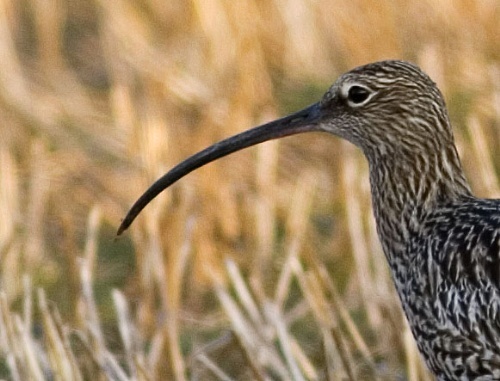 Note that young Curlews have much shorter bill than adults. 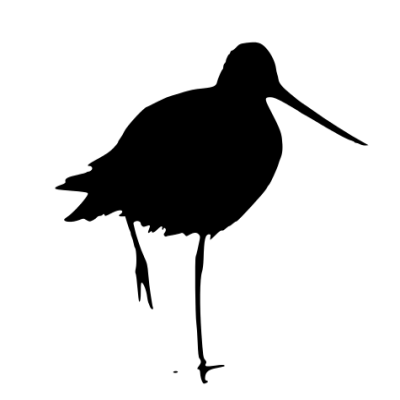 Base of bill pinkish. 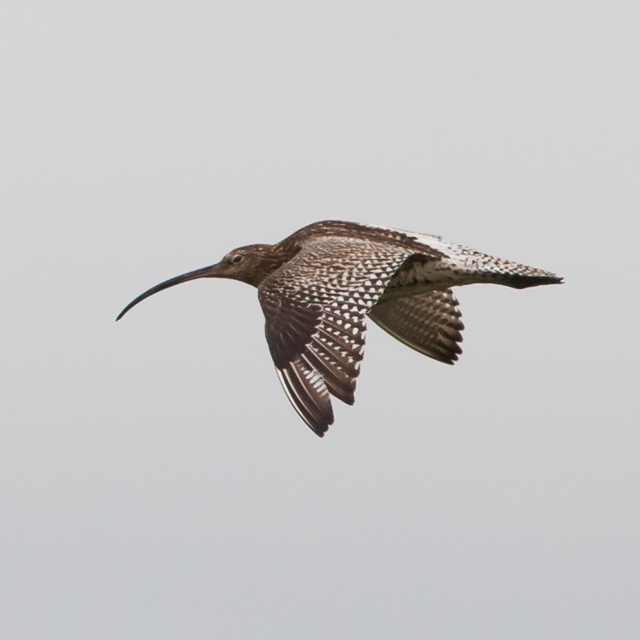 Plumage gives a paler impression than Whimbrel, with paler underwings and flanks. 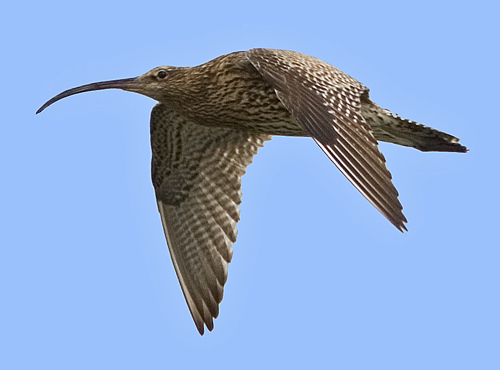 Song starts similar to Whimbrel, with long wailing notes "kluuueee", but takes on a different ending as it accelerates to an ascending phrase repeated in rapid cycles .